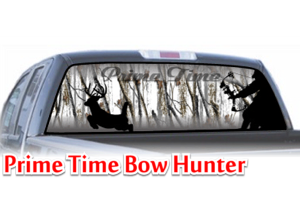 Oneway vision see thru window graphic. 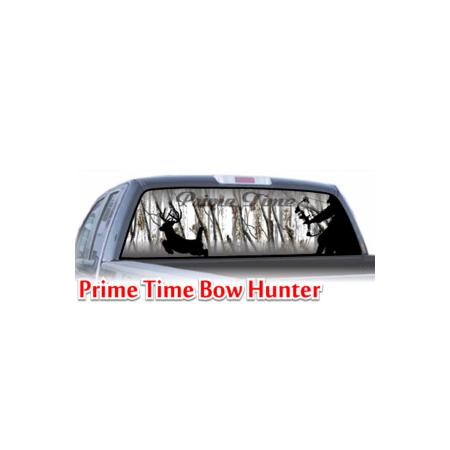 Prime Time snow camo bow hunter deer shadow hunter. Make sure to checkout our other designs.